What is the Significance of Different Gauges and Tensions of instrument strings? Usually, players are familiar with the different string gauges, but the significance of each gauge is still confusing for most of them. Things are relatively difficult to understand for the beginners, which also impacts their learning process. The gauge and tension of strings drastically affect the sound of your instrument. Hence it is essential to know what makes them so special. In this article, we will discuss the significance of gauges and tension in a simple yet comprehensive manner. The gauge relates to the diameter of a string, as it is round in shape. It further tells us about the weight or mass of a string, which is directly proportional to its tension. The most basic way to alter the mass of a string is to make it thinner or thicker. So without changing the length of a string, you can make it lighter or heavier. This, in turn, allows you to increase or decrease the tension. Furthermore, the tension is the stretching ability of a sting. The material or metals with which the strings are wound can determine the level of tension. The sound and pitch of a note depend on the mass and vibrating length of a string. Hence, you can use strings with different gauges, and tension to get your desired sound. The gauge affects the sounding point of a string. When playing the violin, the stiffer construction and increased tension make the string unresponsive at the bridge. This effect can be overcome by positioning the bow at the right place to create the required tone. The stiffness of a string also affects the finger position and intonation while stopping the string from playing various notes. When playing a guitar with heavy strings, make sure to adjust the intonations to add more tension. Making these adjustments is not difficult for the experienced player, but it may take some time for beginners to master this art. The strings with heavier gauge produce a more compressed, louder, and fatter tone. However, the lighter strings have a weak, thinner, or brittle tone. You need to tighten the heavier strings for more tension, and as a result, get the required pitch. This is the reason, why heavier strings offer stronger harmonics than lighter ones. 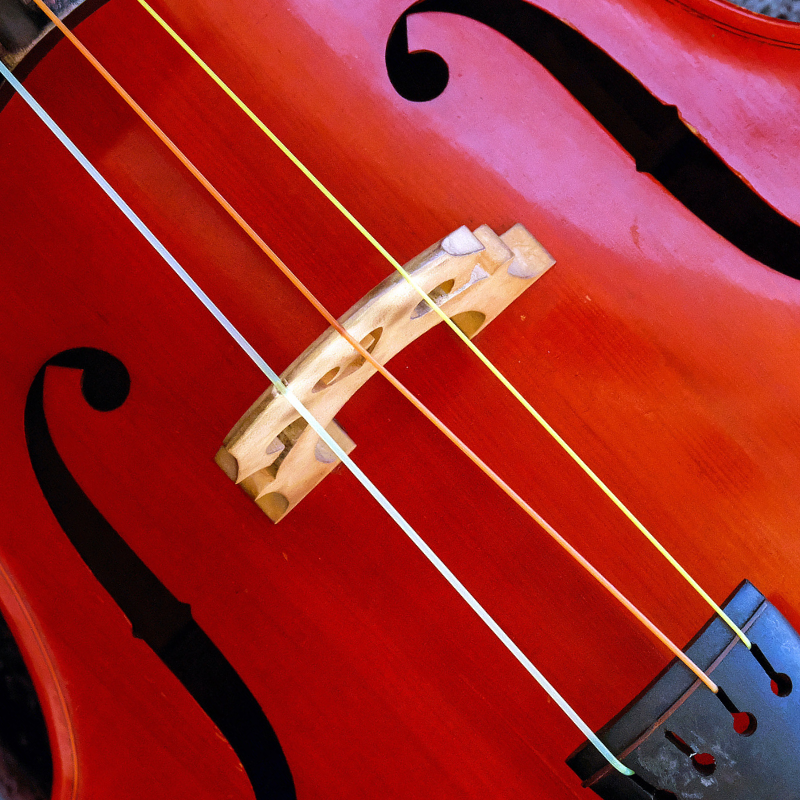 If you want to change the overall tone of your instrument, just using a heavier gauge won’t help at all, as it depends on some other factors as well. The string tension plays a vital role in playability, tone, and tuning stability of your instrument. With a higher tension, the instrument would produce a consistent note and the chances of facing pitch bend are also minimized. On the contrary, a looser string happens to go very sharp initially with the first hit and later on, it settles back into a consistent tone. Since you get more tension with thicker strings, the sound produced is darker and more rounded. Therefore, the tone appears to be dull and may lack in clarity. In addition, more tension is needed for the lowest notes. 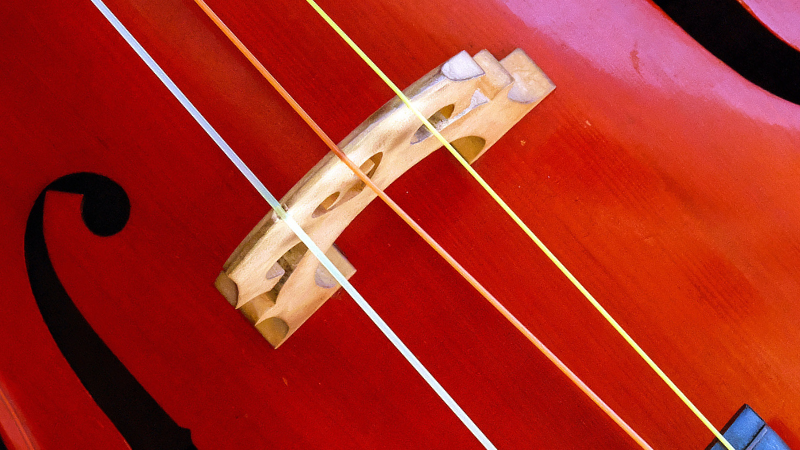 By increasing the tension in a string, you would experience a mechanical effect where the front part of the string is stiffened, which as a result restricts the vibration of the wood. On the contrary, if you select a string of lighter gauge, it will show the opposite effect to that of a heavier gauge. Hence, the selection of a string regarding its gauge is of great importance for your playing style. The string tension also affects the pitch of an instrument. Therefore, you need to tune your string instrument by using the tuning key to produce the desired pitch. However, you must be careful while tuning, as by applying too much tension to a string may raise it to the pitch of the next note. Moreover, the amount of tension that you can apply is associated with the thickness of the string or its gauge. Heavier strings have a tendency to produce more tension. Therefore, you should choose the most appropriate strings with reference to your playing style and the type of instrument you are playing. In order to achieve optimal sound, you need to select strings depending on their gauge and amount of tension they can produce. Following are the three basic types of gauges that you can choose from when buying new strings for your instrument. Also known as Stark or Forte, the thicker string needs more tension when stretching it up to the required pitch. It will ensure a more powerful and fuller sound when used in most instruments. Moreover, it also gives a slower response and if you experience a dull/choked sound or an unresponsive effect, this suggests that the tension and gauge of the string are not suitable for your instrument. Medium gauge strings are widely used, as they provide a balanced tone and better response for a wide range of instruments. If the sound produced is overly bright or shrill, it means that the string is too light. Hence, you should try medium gauge strings for more focused pitch. Since various manufacturers have their own categorization of the string tension; it would be appropriate to start with middle tension strings when trying new strings on an instrument. Thin strings require relatively less tension to get the desired pitch. The basic purpose of using these types of strings is to get a quick response and/or brighten up the tone. You can try a thin gauge string if your instrument produces dull or unfocused sound. Depending on the material, the strings can be divided into synthetic-core strings, steel core strings, and Gut strings. This type of string is manufactured with a variety of synthetic materials such as composite fibers and nylon. These strings are used for a fuller, richer, and warmer tone as compared to the steel-core strings. They usually offer a wider spectrum of tone colors and greater complexity, giving more subtle and refined tone quality. Due to these qualities, synthetic-core strings are commonly used for violins and other similar instruments. The response and volume of these strings may vary depending on the type of instrument you are playing. The most advanced form of synthetic-core strings is the composite-core strings, which are manufactured using the latest technology. This involves the use of more refined synthetic materials that are combined in different ways to create stronger and denser strings. These strings are made to overcome the effects of humidity and abrupt temperature changes. These strings are thin and lighter than synthetic or gut strings. As a whole, they produce a well-focused, simple, and bright sound along with a quick response. Their pitch stability is also good, which makes them a perfect choice for beginners. Gut strings give a rich and warm tone quality. The sound produced is colorful, complex, and allows the play of a great variety of overtones. Gut strings are available in two variables including gut-core string wound with metals and plain/unwound gut-core. Each of these strings is used to get different sound quality, pitch, and notes. There are numerous options available when it comes to buying any type of strings for your instrument. The material and quality of sound are some of the distinctive features that you should keep in mind while choosing the strings. Before making such a purchase, it would be wise to get an opinion from an experienced instrumentalist. 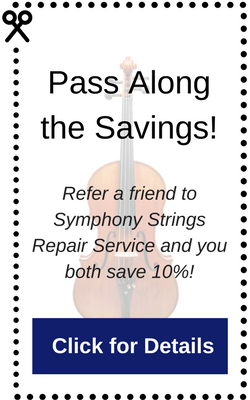 Moreover, look for a reliable company when buying specific strings for an instrument.